What badge would you like to see guides working towards in the future? New things are happening. 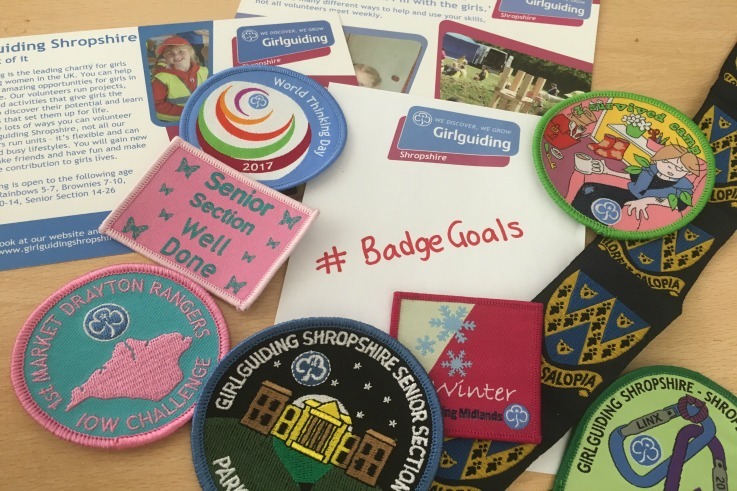 Girlguiding have a programme renewal in the works, and as part of that are encouraging people to suggest ideas for new badges. Girls, leaders, parents and the general public are being offered the chance to have their ideas turned into a future guiding interest badge, and that’s where you come in. and these themes will be used to equip girls with skills and knowledge which they can use in the future. Suggestions so far have included App Design, Entrepreneurship, Human Rights, Explorer, Space, Upclycling and Vlogging. What would you like to see a badge in? Head over to our Facebook page and add your suggestions with the hashtag #BadgeGoals – we’d love to hear from you.